From time immemorial people have been ornamenting and painting the walls of urban houses. However, from the 1960s the invention of markers and then spray paints gave an opportunity for amateur muralists to cover huge areas with frescos. Graffitists have turned from a marginal and semi-criminal element into an evident factor of creating urban interior. The scale of this phenomenon can be compared only with its ambiguity. What is graffiti? Is it vandalism full of evil or demonstration of spontaneous genius? Should it be prohibited or protected as cultural heritage of contemporary times? In May, the Moscow City Duma adopted the law on graffiti regulation, and shortly before it six of PB permanent authors had shared their opinions on this issue brought up (as it often happens) by Alexander Rappaport (96). LIDIN, Konstantin; GRIGORYEVA, Elena. graffiti: pro et contra. 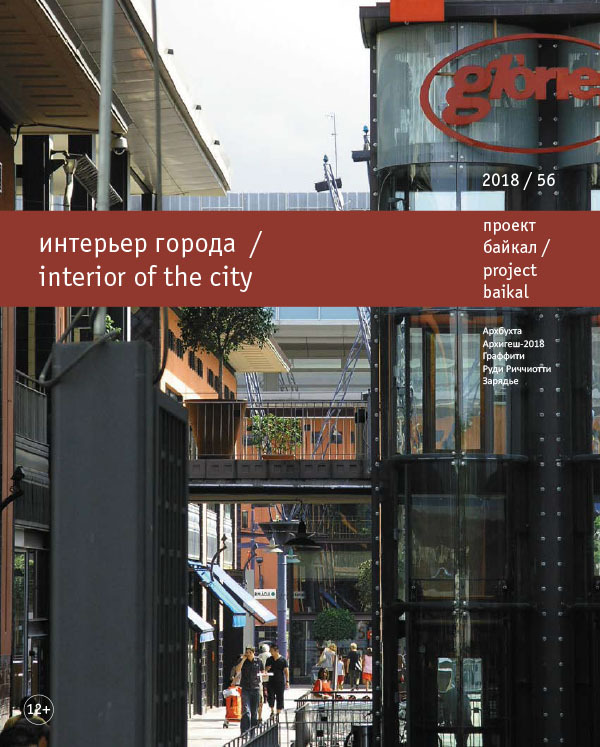 project baikal, Russian Federation, n. 56, p. 95-95, aug. 2018. ISSN 2309-3072. Available at: <http://projectbaikal.com/index.php/pb/article/view/1330>. Date accessed: 22 apr. 2019. doi: https://doi.org/10.7480/projectbaikal.56.1330.